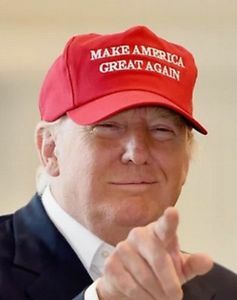 Donald J. Trump is the most highly branded candidate who ever ran for office. Regardless of what anyone thinks about the man, one can’t help but be impressed by the sheer number OF Trump trademarks, and the marks themselves. Because I am a trademark nerd, I spent too much time looking into his trademark records in the US Patent and Trademark Office. Based on my review, Mr. Trump appears to be something of an idea man. He owns nearly 100 active trademark registrations. However, he has filed nearly 100 applications for trademark registration for various products and services, and let them lapse. On June 18, 1985, by and through a Jones Day attorney in Cleveland, Mr. Trump filed what appears to me to be his first trademark application in his own name for a mark including his name. The mark was Trump’s Castle and he sought to register it for casino services and hotel services. Three months later, by and through an attorney on Fifth Avenue in New York, Mr. Trump filed another application to register Trump’s Castle for hotel, casino, and restaurant services. Both of these applications were abandoned, so no registration issued. On March 8, 1988, the USPTO issued to Mr. Trump what appears to be his first trademark registration. 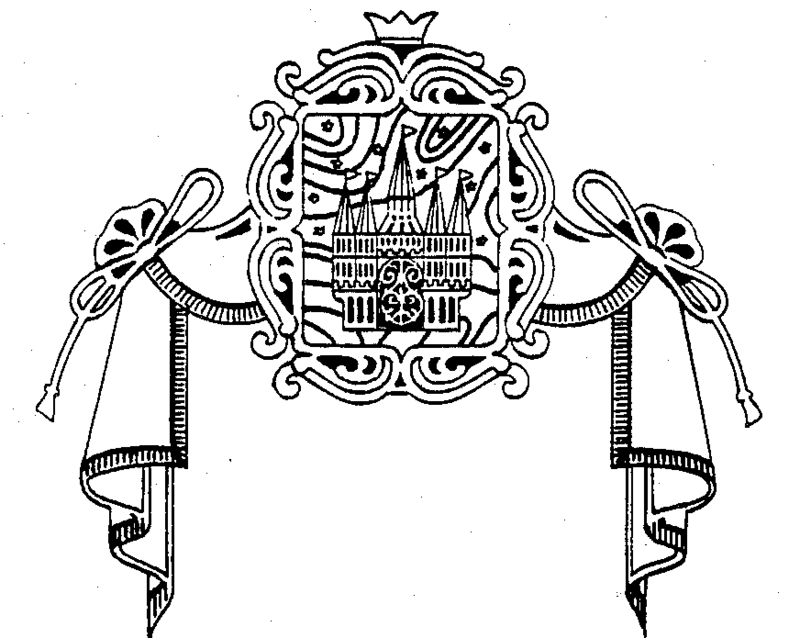 The mark was the castle logo, below, registered once again for casino, hotel, and restaurant services. Trump Castle opened in 1985 in Atlantic City, New Jersey. 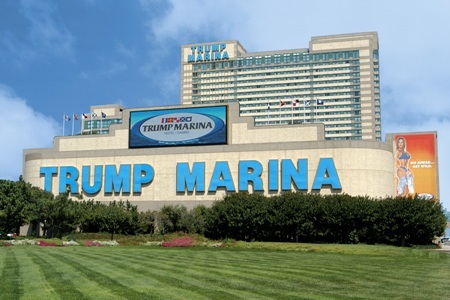 Eventually, Mr. Trump made a decision to look for a new theme for this venture and he was quoted in 1996 as saying that he “never liked the castle theme.” The Castle was renamed Trump Marina in June 1997. The Castle logo trademark and two Trump Castle trademarks have been abandoned, and the corresponding registrations have been cancelled – a trademark registration can’t be renewed unless the mark is in use. The value of trademarks has not been lost on some of the women in Mr. Trump’s life. Ex-wife Ivana registered Ivanatrump.com for cosmetics and bath products and also for the services of Providing a website featuring information on appearances, accomplishments, exploits and the biography of a celebrity. The web site is up and running and open for business – it is simply amazing, as Mr. Trump might say. His next wife, Marla Maples, registered Maternity Moods by Marla for maternity clothing. Current wife Melania Trump registered Melania for jewelry and she registered Melania and Melania Trump for cosmetics. Daughter Ivanka is leading the trademark contest among the women in Mr. Trump’s life. Through Ivanka Trump Marks, LLC, she has registered 17 trademarks and has 11 active trademark applications. Ivanka’s registrations and applications cover social media web site services, clothing, luggage, mobile phones, home furnishings, cosmetics, jewelry, and massage parlors. Can you tell anything about a person from the words that appear in that person’s trademarks? I have no idea. I don’t know Mr. Trump. However, the little bit that I think that I know about him is consistent with some of the words that I found: Hollywood, Entertainment, World, Empire, Gold, Money, Style, Power, Taj Mahal, and Castle. And Class. What do you think? Sign up here to receive future tidbits via email.